Corona, Calif., (May 15, 2018) –– American Dreams, the latest collection from LuLaRoe, is a modern vintage collection that pays tribute to the ’60s and ’70s. With over 400 unique pieces of art, represented in twenty styles for women, men, tweens and kids—including five brand new styles—there’s something here for everyone to love. Click the link to view the lookbook https://bit.ly/2L3S0uP! We are deeply saddened and disappointed to announce our decision to end our relationship with the National Down Syndrome Society. Our company and the Independent Fashion Retailers have embraced the NDSS and its important work, and have enthusiastically supported the organization’s efforts over the past year. Regrettably, a LuLaRoe Independent Fashion Retailer exhibited unacceptable and insensitive behavior during a live sale, which understandably offended viewers as well as everyone at LuLaRoe. His bad judgement in no way represents the beliefs and character of LuLaRoe or Independent Fashion Retailers. Immediately after his sale, the Retailer posted an apology, which is available below. He also reached out to NDSS and said he and his wife have agreed to use the incident as a learning experience and expressed his intension to focus his business on support for the organization and its cause. After speaking with the Retailer at great length, we believe his apology is sincere and accepted his assurance that this type of behavior would never happen again. We are also using this unfortunate incident as an opportunity to redouble our sensitivity and tolerance training efforts and policies for Independent Fashion Retailers. Unfortunately, NDSS leadership is unwilling to accept the Retailer’s apology and has informed us that unless we terminate his contract with LuLaRoe, the organization will no longer associate with us. We do not believe the most productive response to his actions, which he has fully apologized for, is to close his business and threaten his ability to provide for his family. This fundamental difference in how we view education and awareness initiatives – joined with our commitment to not fight intolerance with eradication – ultimately contributed to our decision to end this relationship. The culture of LuLaRoe and the opportunity to continue to improve lives and strengthen communities through strong principles of acceptance and education will remain among our highest priorities. This incident will not lesson our commitment to playing a positive role in raising awareness and contributing to Down Syndrome causes. We wish the NDSS continued success. CORONA, Calif., Sept. 8, 2017 -- LuLaRoe, one of the fastest growing apparel brands in the U.S., has tapped social media entrepreneur and author of The Social Organism Oliver Luckett as Chief Social Retail Architect. In this role, Luckett will support in the creation of best practices, training, education and new sales channels and tools for Independent Fashion Retailers and help accelerate and more efficiently execute the company’s Social Retail business model. The Social Business retail model has helped LuLaRoe achieve more than $1.3 billion in annual wholesale revenues in just over four years. Luckett will report to Art McCracken, LuLaRoe’s Chief Communications Officer. Established in 2013, LuLaRoe is redefining the way apparel is sold. LuLaRoe’s comfortable, affordable, stylish clothing is sold through LuLaRoe’s network of more than 80,000 Independent Fashion Retailers in unique, exciting in-person and online pop-up boutiques, creating a personalized shopping experience for consumers across the U.S.
Luckett is a Graduate Professor at Reykjavik University, teaching social media storytelling. He is the CEO of ReviloPark, based out of Reykjavik, Iceland and Los Angeles, CA, a cultural accelerator. Luckett was co-founder and CEO of theAudience, where he led an international team to capitalize on the exponential growth and influence of social-media networks and deliver a more compelling, authentic experience for both consumers and for major brands and celebrities. He also co-founded DigiSynd, a social media content distribution company that was acquired by the Walt Disney Company. Outside of the office, Luckett has served as executive producer of Transcendent Man and Sweet Micky for President and was featured in the PBS/ Frontline documentary Generation Like. His first book, The Social Organism, co-authored with Michael Casey, is a best-seller and was published by Hachette in November 2016. 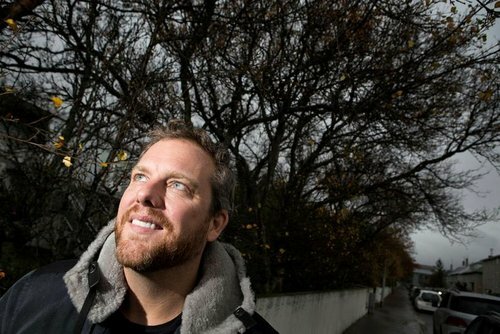 Luckett lives in Seltjarnarnes, Iceland, where he is actively involved in the country's burgeoning art, sustainability, and political scenes as chairman of EFNI, ehf. and chairman of the non-profit, humanistic art and nature foundation, Best Peace Solutions. LuLaRoe is one of the fastest growing apparel brands in the U.S. Founded in Corona, California in 2013 by working mom DeAnne Stidham and her husband Mark Stidham. LuLaRoe’s comfortable, affordable and stylish clothing is sold by more than 80,000 Independent Fashion Retailers in unique, exciting in-person and online pop-up boutiques. LuLaRoe’s varied styles and patterns make the brand attractive to all types of consumers, whether they’re looking for the perfect style to transition from work to a night out, a way to dress up their every-day leisure look, or are on the hunt for their unicorn leggings. Pieces are designed to mix, match and layer. For more information visit www.lularoe.com. Over the past two weeks, the Home Office has been addressing many questions regarding our decision to end the temporary special waiver to our Returns on Cancellation of the Agreement policy introduced earlier this year. We’ve heard plenty of frustration, primarily from those cancelling their businesses. With that, we would like to take this opportunity to clear up any confusion and misinformation. First, we’d like to share some background. In March, we were hearing from some of the Independent Fashion Retailers that their businesses were being negatively impacted by other Retailers who were selling below MAP as part of their going out of business sale. It was perceived that these going out of business sales created an uneven playing field for those Retailers who remained committed to growing their businesses. To address this, we introduced a temporary waiver allowing departing Retailers to sell back their remaining inventory on hand for 100% of the wholesale cost and to have shipping and handling paid by LuLaRoe. The intent was to help already inactive Retailers as well as Retailers with an interest in pursuing other business opportunities to transition even easier and to help reduce the number of going out of business sales. This waiver, in place from April to September to address this specific issue, was never intended to be permanent. We decided to end the waiver when it became evident that a good number of Retailers were abusing the program by returning product in extremely poor condition and providing inaccurate claims, as well as a Retailers using it as temporary solution to struggles in their business. So our longstanding Returns on Cancellation of the Agreement policy, which we believe is generous, remains unchanged. We continue to reimburse Retailers 90% of the net cost of the original wholesale purchase price of merchandise, with the common-sense conditions outlined in policy 3.16.3. Shipping is paid by the Retailer and we are honoring the terms of the waiver for any Retailers who have received email confirmation of a refund amount or those possessing valid return shipping labels, as of the waiver cancellation on September 13, 2017. Below are more details to ensure that our policies are clear. Regrettably, misinformation spread by a few has distorted the facts regarding the special waiver—as well as the continuing success of LuLaRoe and your business. We are stronger than ever, and we truly appreciate all that you do! CORONA, Calif. — April 25, 2017 — LuLaRoe, the fashion brand with comfortable, affordable and stylish clothing that is sold by a national network of Independent Fashion Retailers, today reaffirmed its commitment to the quality and craftsmanship of its products by announcing its Happiness Policy aimed at ensuring that every consumer who purchases a LuLaRoe product is satisfied with their purchase. In addition, LuLaRoe is introducing the Make Good Program, to address customer expectations about previously purchased products. The Happiness Policy, available at www.lularoe.com/happiness, is a return and exchange policy for purchases that do not meet consumer expectations and is applicable for products purchased on and after April 25, 2017. The Make Good Program entitles consumers to a product replacement, credit, or refund for products containing a defect in materials or workmanship purchased between January 1, 2016 and April 24, 2017 from an authorized Independent Fashion Retailer. The Make Good Program is available for claims made no later than July 31, 2017. DeAnne launched LuLaRoe with her husband Mark Stidham to inspire and motivate people to create their own independent business for the opportunity to achieve freedom and personal success. She started selling dresses 25 years ago through living room Pop-Up Boutiques as a single mother raising seven children. Today, DeAnne’s talent and drive to make her dreams a reality are an inspiration for the more than 80,000 Independent Fashion Retailers throughout the United States. LuLaRoe is committed to providing consumers with simple ways to return product purchased on and after April 25, 2017 that do not meet their expectations. ● As part of the Happiness Policy, consumers who are not completely satisfied or happy with their LuLaRoe purchase are able to obtain a full refund, credit or exchange* up to 30 days after their purchase by contacting the Independent Fashion Retailer who sold the product and providing their original purchase receipt. ● If at any time within 90 days of purchase the consumer is not completely satisfied or happy with their purchase, they can contact any participating Independent Fashion Retailer and provide their original purchase receipt to receive a credit or exchange*. ● Additional details are available on LuLaRoe’s website at www.lularoe.com/happiness. Certain restrictions apply. All LuLaRoe products go through multiple quality assurance checks before they are sold to Independent Fashion Retailers for sale to consumers. The company utilizes a series of efforts that include fabric processes to improve stability, as well as production applications such as a tensionless waistband application, texturized thread to strengthen seams and improve stretch, as well as improved elastic quality.